Chatbots have been around since the beginning of the Internet. Practically everyone who was a teenager in the early ’00s has fond memories of afternoons spent hunched over AOL Instant Messenger, laughing about what they managed to get Smarterchild to say. The truth is that the chatbots we have in 2017 are not the chatbots of the early ’00s. They’re a revelation. According to Microsoft’s CEO Satya Nadella, “Chatbots are the new apps.” Though this is a huge claim to make, it’s not really off the mark. While Smarterchild provided helpful information like weather and sports scores, it’s definitely no Siri or Cortana. Today, chatbots don’t care if they’re your friend, even if Siri has a sense of humor we appreciate. The chatbots of 2017 are powerhouse workers that we rely on for everything from customer service to reading the news. It’s a growing industry that’s only getting bigger. Unfortunately, chatbot development hasn’t been a successful endeavor for every company looking to ramp up their customer service. It took Internet users less than 24 hours to teach Microsoft’s Tay to be a racist misogynist. Google’s Allo has been met with much criticism after the company failed to build a chatbot with end-to-end encryption. This exposed conversations to third parties – which could be dangerous if conversations involved sensitive personal information. Despite some epic failures in the chatbot programming, they’re still really useful to customers and easier to make than ever. If your company is looking to make your own chatbot, there are a couple surefire ways you can create a better, smarter AI than your competitors. A chatbot should be a conversational agent that can interact with a human being and deliver them the information they need. Some chatbots are purely informational (think of it as if Google was a person) and others focus on customer service (think Sephora’s quiz-like customer service Kik). To make a really killer chatbot, you’ve got to understand a couple things about what problems chatbots usually come across. Of course, there are ways to get around this. Once you know what can go wrong, you can focus on how to make sure that doesn’t happen. A good chatbot should understand natural language and human intent in speech. They should be able to understand the topic that’s being discussed within the full context of a conversation, and they should be able to respond appropriately in natural human language. Machine learning is what helps chatbots tackle these challenges. To get over the hurdles, you may have to start with handcrafting some code in order to train your model. Sorry. Humans are great and all, but there are just some things that machines are better at – primarily numbers, calculations, pulling up really quick information, and you know, not making people wait an hour and a half on hold. Also, the labor is pretty cheap since robots don’t really need to make minimum wage. If you’re wondering how to build the best chatbot you can, one of the most important things is carving out a place where it makes more sense to use technology than a human. An example of this is in customer service. People don’t want to wait on hold to speak to a human. They want their problems to be solved immediately. Consider creating a chatbot that addresses customers immediately or transfers them to a human who can help once their capabilities are exhausted. DoNotPay is a great example of a chatbot that made a company nearly a million dollars while saving customers even more. No one wants to go through the trouble of finding a lawyer to fight a simple ticket, but if you could just do it online, your tune would quickly change. Cue DoNotPay, the world’s first robotic lawyer. It used its capabilities to overturn 160,000 tickets in London and NYC and saved customers over $3 million. People don’t go out of their way to use chatbots, but they definitely appreciate them when they’re already integrated into what they’re doing. This is something to keep in mind while creating a chatbot for your company. Figure out a way to integrate it seamlessly into customers’ lives. Taco Bell is one of the best examples of creating a chatbot that’s already integrated into a customer’s daily routine. The Taco giants created a chatbot that allowed customers to make orders through Slack. Slack’s key user base is young, tech-savvy professionals – the same people Taco Bell was trying to reach. Taco Bell’s bot allowed users to order in a snap without having to go out of their way to get that sweet, sweet Cheesy Gordita Crunch. Most of them were already logged into Slack for work. Whether you create a chatbot directly in your company’s app or via a third-party service, you need to go where your customers already are. To pick a platform, think about what your customers already use. Last year, Twitter announced that it’s offering brands customer service chatbots to use in direct messages. Unfortunately, if your users aren’t on Twitter, that’s not really going to help. If your customers primarily use Facebook, consider using creating a Facebook Messenger bot. Beauty brand Sephora managed to create a massively successful Facebook chatbot because they chose the right platform. Their customers love Facebook. Sephora Virtual Artist allows users to upload a selfie and try on different lip colors – something they can’t do if they just talk to a human on the phone. 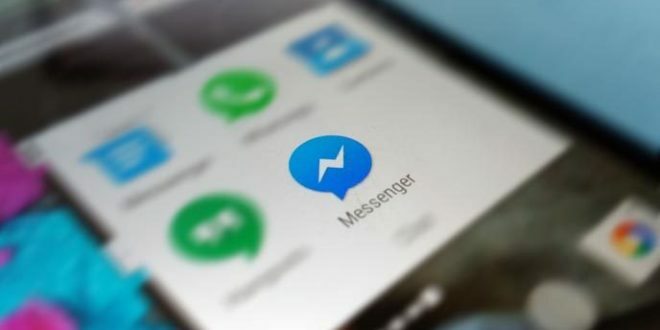 The Facebook chatbot and the brand’s app have received over four million visits because it not only fits seamlessly into users’ lives, but it provides something they couldn’t get anywhere else. Because of the success of Sephora Virtual Artist, the company launched a new Facebook bot called Sephora Reservation Assist, which helps users book appointments without ever having to wait on hold. Chatbots can automate tasks you’re playing someone to do. This frees up resources you can use on something else. Think of how much you pay someone to schedule appointments? What if that could be automated, and instead, that person could be out looking for new customers. Before you build a Chatbot, you need to look at your business and figure out where you can automate things. You don’t want to overextend your bots or you’ll end up with some angry customers, so make your guidelines rather narrow. Chatbots can really help automate tasks that save your business money and offer a richer experience to customers – especially if it’s something that isn‘t suited towards a human’s capabilities. Focus on developing a useful chatbot in a platform your customers already use, and you’ll find increased brand loyalty and a growing clientele. Just make sure –above all — that no one can teach it to be racists. Learn from Microsoft’s mistakes. If you want to get started with creating your own chatbot, post a request on DevTeamSpace. DevTeamSpace specializes in putting businesses in touch with the top developers in their field. perfectly matched to your needs!